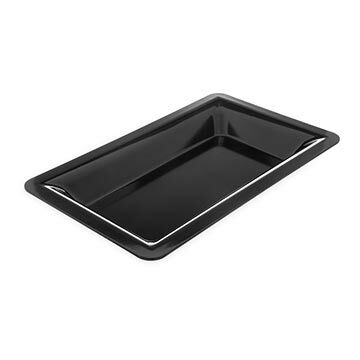 Melamine food pans are durable, practical and inexpensive. These pans are designed for cold applications, but can withstand hotter temperatures if necessary. Pans can be stacked to save space in a small footprint or crowded kitchen. myBoelter offers a variety of sizes and styles to fit any display aesthetic.